This tutorial is not written for absolute beginners, please contact me, if something is not clear. Visit my flickr photostream to see enlarged pictures, click the picture and then the magnifying glass on top to zoom in. Oh, and its easier to follow the tutorial, if you set your Gimp to English as the default language, to do that, click Windows Start, then Programs and GTK, there is a language selection option. 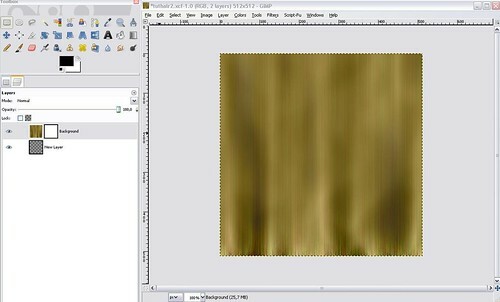 Open a new file in Gimp, I used a 512*512 image size for this tutorial, but this is not really recommended for hair textures. Better use 256*512 or 256*256 pixels for fast rendering. 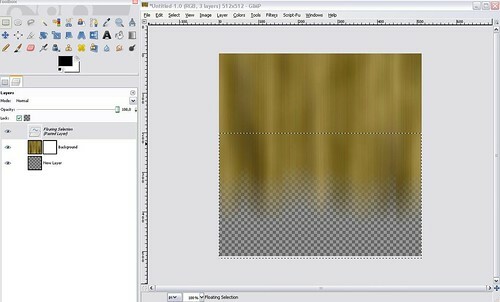 Click the black and white squares in your toolbox window and choose a darker and a lighter shade of brown as foreground and background colors. Then open Filters, Render and Clouds, Difference Clouds, click okay. 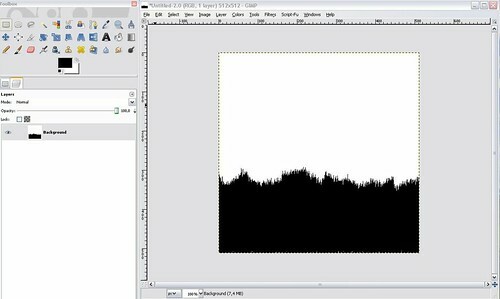 Re-open Filters, Noise, RGB Noise, click okay. Re-open Filters, Blur, Motion Blur, enter length 255 and angle 90. You can run Filters again after this step and add some Gaussian blur but don’t overdo it, a value of 0.7 or 0.8 is sufficient. Go to Colors, adjust Hue and Saturation, Contrast and Brightness. Now, we want fuzzy edges for the hair. Don’t reach for the eraser tool, let’s do that with a layer mask. First let’s prepare the mask. Set the background color back to white and the foreground color to black. 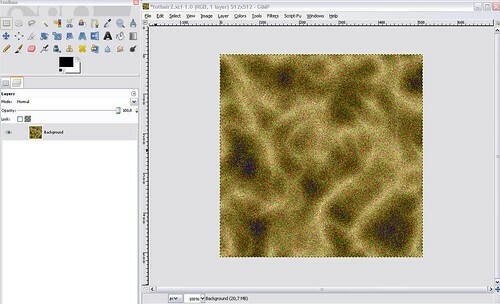 Open a new image in the size of your hair texture image. 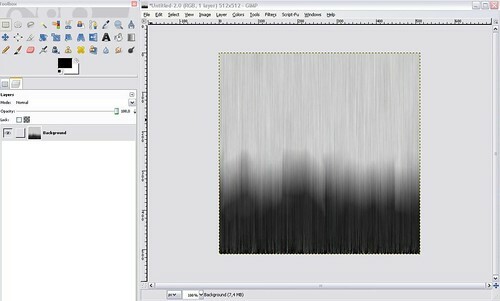 Use the paintbrush tool with a big brush and paint black stripes on your white background. 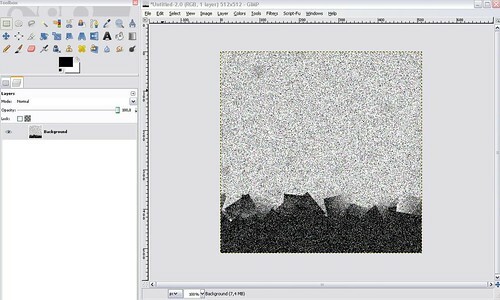 Re-open Filter, Noise and add HSV Noise, with a Holdness of 1, you can play with the other settings. Re-open Filters, Blur, Motion blur and use motion blur with a length of 120 and an angle of 90. Open Colors, this is on top of your image window, and click Threshold. Re-open Filters and run motion blur again with the same settings. Open the rectangular Marquee Tool in your toolbox window. Select the middle of your image, like so. Click Edit from the main menu and then copy. Click the Layer Icon in your toolbox window. 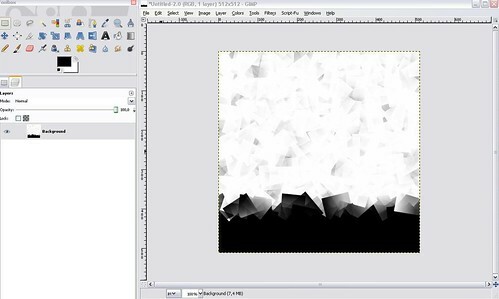 Add a new transparent layer. Move this layer down under your hair texture layer. Just hold down your mouse button and drag it. Select your hair texture layer, right click it, select: Add Layer Mask and choose the first option ( white). Double click the small white icon that appears on the right side of your hair texture layer, this is our mask layer. 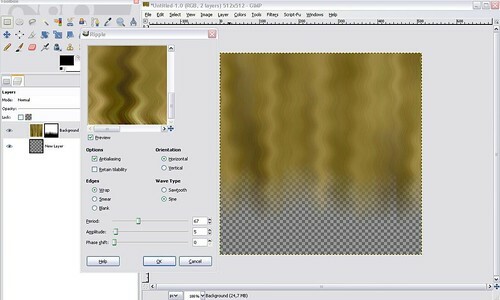 Move the layer mask downwards to the bottom of your hair texture image. Click the Layer menu on top of your big image and choose Anchor Layer. Voila, straight hair with alpha strands. If you want curly hair, go to filters now and choose Filters, Distort, Ripple. Experiment with Period and Amplitude until you like it. You can also use the ripple filter on the layer mask. 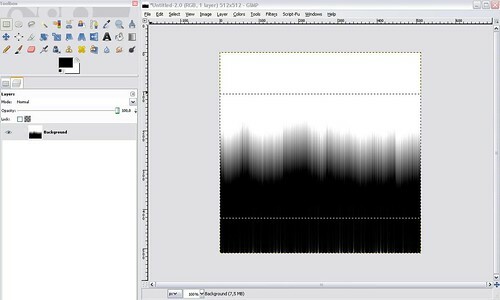 For additional highlights, add a transparent layer on top and add your highlights, then run gaussian blur, the top layer opacity must be set to a very low value in this case. Save the file as…………….. thebesthairever.tga don’t compress the file. I hope, it works for you. Fantastic Tutorial Feo 🙂 Thanks so much for posting, I haven’t tried it yet but it should at least get me going 🙂 Awesomness!! Thanks for this! Now I can make some decent textures for my tails!